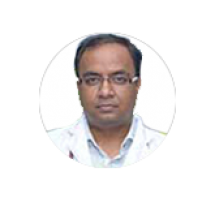 Dr. Ahmed has immense experience as an Oncologist in treating all types of Cancer patients in leading centers in Delhi. As a Professor of Medical Oncology, he is specialized in Stem cell Transplant including Allogeneic, Autologous, MUD (Matched Unrelated donor) and Haplo Stem Cell Transplant. Dr. Rayaz Ahmed has been trained in CMC Vellore. He has over 15 years of experience of satisfied patients in his field. Dr. Ahmed has been credited with the start of multiple pioneer works in the field of Haemato-oncology and organized much training in this field at the global level. He was honored with University Gold Medal in MD Pathology 2003, Shivaji University, Kolhapur, Maharashtra. He received training & fellowship in Bone Marrow Transplantation from CMC Vellore. He was Ex-Associate professor at CMC Vellore and a member of American Society of Hematology and International Myeloma Working Group. His publication includes Factors influencing adherence to imatinib in Indian chronic myeloid leukemia patients: a cross-sectional study. Kapoor J, Agrawal N, Ahmed R, Sharma SK, Gupta A, Bhurani D. Mediterr J Hematol Infect Dis. 2015 Feb 20;7(1).